Given that the upcoming Marvel Legacy relaunch seems geared to at best reverse the best changes of the last few years and at worst be outright nostalgia-peddling, it’s hard not to give the concept of Generations a bit of a side eye, but thus far it’s proven to be quite fun and the Generations: Thor issue milks the idea of Jane Foster meeting a much younger and rowdier version of the Odinson for all it’s worth. While the issue doesn’t fit in with the ongoing narrative, it still presents an important course in Jane’s journey with her having to teach the Odinson some humility while fighting Apocalypse. At this point in Jason Aaron’s run, it’s not really a question of whether he gets the characters, but rather to just sit back and enjoy the ride. Both Thors get a great showcase here, as does their relationship without the benefit of years of continuity binding them and while Apocalypse is a bit of a minor player in the narrative itself, he’s a great villain to put up against a more Viking-happy Odinson. While the last few years of Thor have largely been dominated by Russell Dauterman’s art, the Generations issue opts in with Mahmud Asrar who makes for a sharp contrast in the best way possible. In terms of bridging the gap between the two eras of Thor, it makes for a nice and classic-looking issue and with a villain as cartoonish (looking) as Apocalypse that’s not a bad thing, especially with all the typical hammer (or I guess axe-cutting) action you’d expect when two Thors lead a raiding party. Jordie Bellaire also brings her typically fantastic colors to the issue and the brighter colors help lighten the mood, and make the action that much more bombastic. 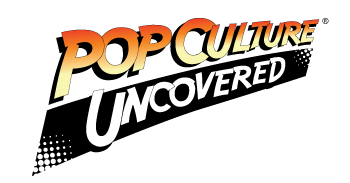 While it’s still rather unclear as to what Generations is doing in terms of why all these characters are sent back to meet their counterparts, it’s at least a fun oasis from ongoing storylines and it does at least provide some contrast in how much these characters and identities have changed over the years. What will get readers talking though is the big reveal leading into the Marvel Legacy one-shot with Odin having had a previous relationship with the Phoenix. While it’s been a bit strange having Thor’s legacy intermingled with that of the X-Men, it’s still quite a bit of fun having Aaron broaden Thor’s world in such a way and if nothing else will go a long way to explain why Odin is always such a crabby old man. 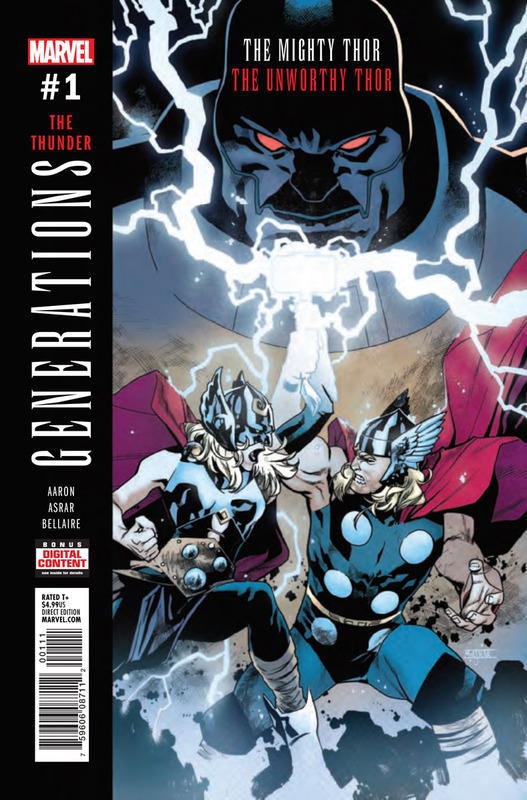 That being said Generations: Thor is a fantastic issue of comics and if nothing else is worth a read in these crossover-filled times, a fun comic after all never goes stale.